A priest once told me to go to the library and read a book, then write about it. Nobody ever told me to do that before and I was perplexed because even when it was good advice, it felt like I had to do it for penance. Admittedly, I did need something to do with my time but I never thought I'd be reading books for pleasure. I guess I am grateful for his advice. The way I see it, it was a small miracle. I didn't start writing about books right away though but my blog sort of evolved into that because I finally listened. What I didn't know was, there are countless blogs writing book reviews and I am late to the party. 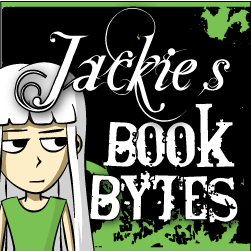 Jackie's Bookbytes is the result of hearing a priest advisor tell me to 'READ A BOOK' and doing something about it. I have made it the purpose of my blog.